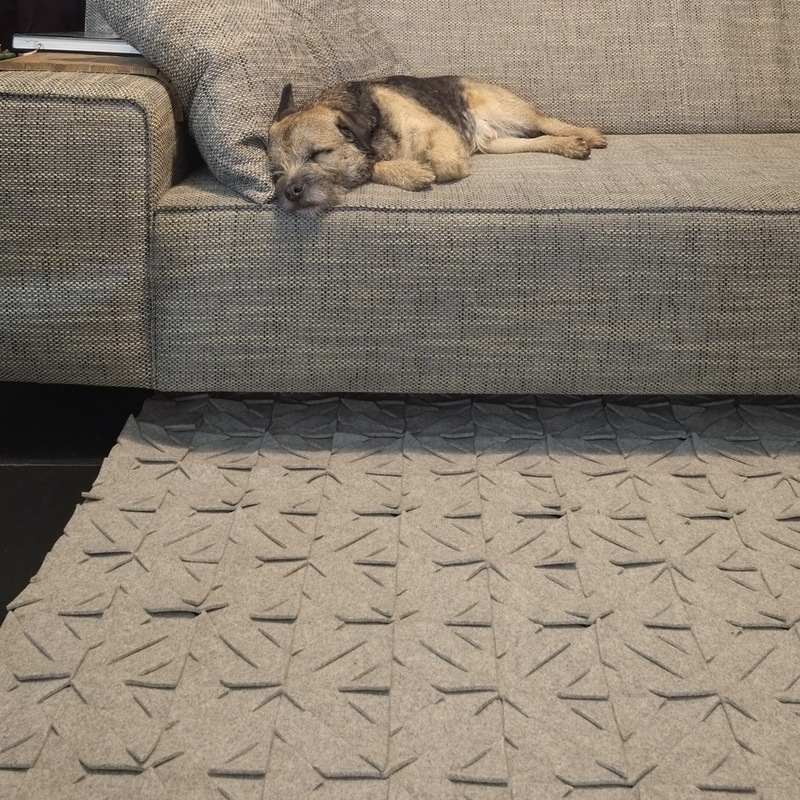 Our unique Qvilt rugs are handmade from modular wool felt elements. The way the elements interlock gives this rug it’s distinctive look and feel. It’s a piece of art, pure and minimalistic yet luxurious. The innovative elements locked together form a quilt like rug. The Dutch name for felt is ‘vilt’, hence the name Qvilt. Qvilt rugs are created with large scale patterns or monotone colors which emphasize the unique structure and texture of the rug. Our ‘Pure’ series is made from 100% Merino wool from Australia and New Zealand, which is available in a range of colors and in natural shades. For our ‘Tough’ series we use felt from Austrian mountain sheep. 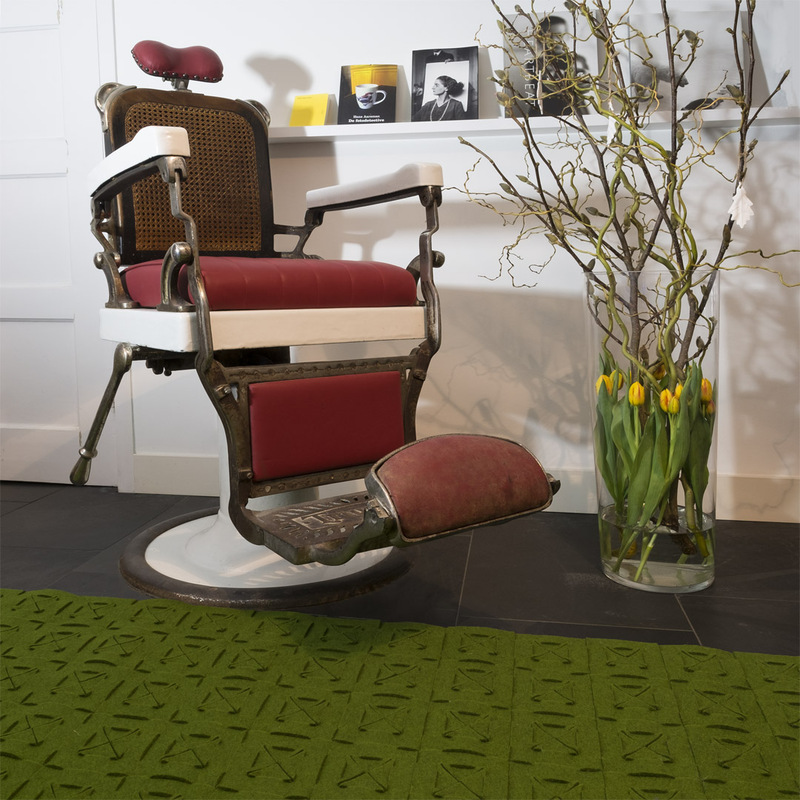 This felt is available in six natural shades and has an almost rough look and feel. And for our ‘industrial’ series we use extremely thick industrial dark gray felt. This gives this rug its bold texture. 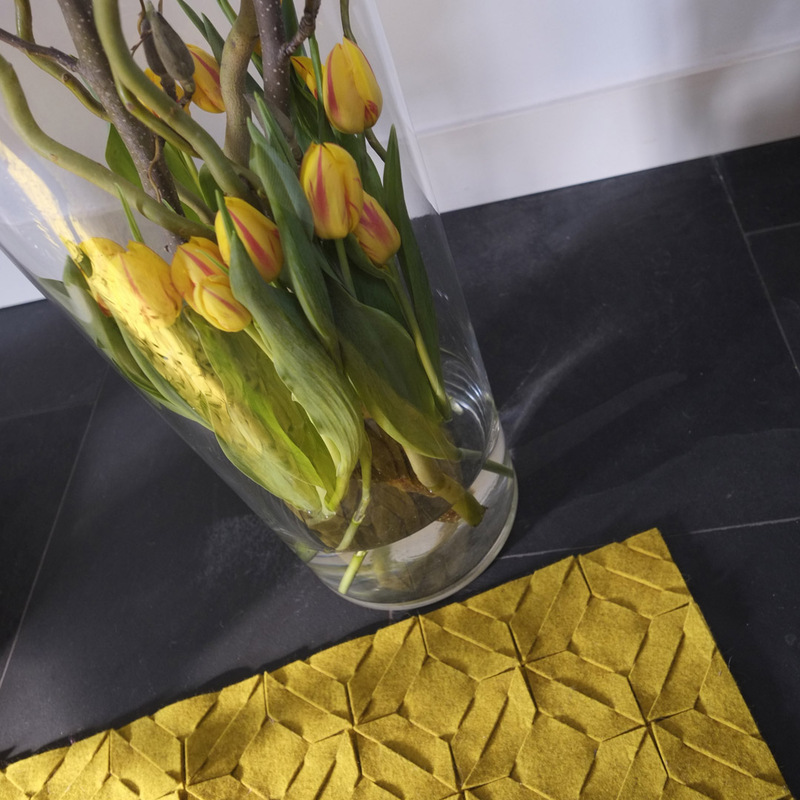 Our contemporary Qvilt rugs are great in modern and classical interiors. They add texture and warmth to any room. What about a Qvilt in your room? Qvilt has an industrial feel that meets up with the organic way the elements interlock. Or does Qvilt feel organic with an industrial touch? Anyway: we love it! Each rug is made-to-order in size, color and design required. Please contact me for more information. 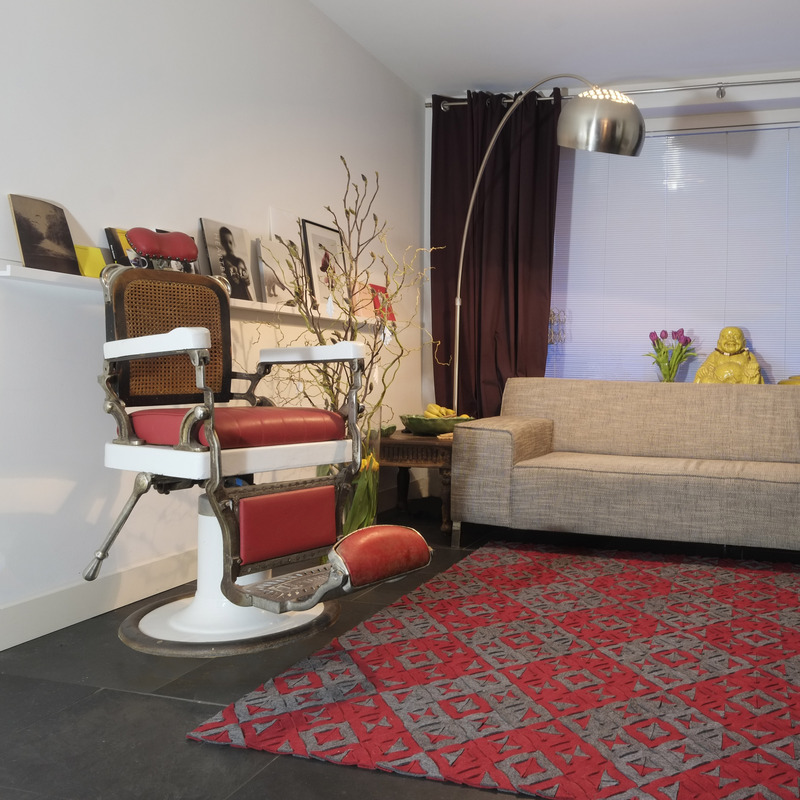 Qvilt rugs are designed and handmade in Holland. Precision cut and put together in our studio. Our love for natural materials, simplicity, patterns and texture led to the design of Qvilt. We hope your next rug will be a Qvilt! Wool felt is a nonwoven natural fabric made of sheep fibers. Felt is biodegradable and renewable material. It is fire resistant, self-extinguishing, water and dirt repellent. It has unique thermal and acoustic characteristics, which can improve your indoor environment. The material is timeless and soft.